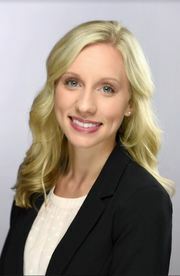 Katie Luebke received her real estate license in June, 2018. Luebke graduated from Madison College in 2015 with an Associate's Degree of Science in Radiography. She has many years of customer service experience and has held numerous roles as a health care professional. This experience has given her the tools to build a successful real estate career. Buying her first home in Fort Atkinson ignited her interest and passion in real estate. She is excited and determined to help people in the community find a place to call home. Luebke is a life-long resident of Fort Atkinson. She is also newly married to her husband, Andy, and together they have decided to make Fort Atkinson home for their family. Luebke's husband is a fourth generation crop and dairy farmer. In her spare time, she enjoys traveling, walking their two dogs, gardening, and home renovation projects.